Fresh Origins has a wide variety of Asian style herbs & greens. Great flavor additions for noodles & rice! Float some Petite Thai Basil on Pho to add an intense herb essence. Micro Red & Green Shisos are wonderful when paired with fresh sushi. Seared rare ahi loves to be topped with our Micro Wasabi. Add some Gold Edamame Shoots™ to your stir-fry to add color, crunch and a yummy legume taste. Red Kaiware Shoots™ & Micro Benitade add a stunning color and spicy flavor to Kalbi short ribs or sesame chicken. What would you do with our Asian products?? Happy New Year! Cheers to healthy eating! Fresh Origins was proud to be a sponsor of the First Annual Los Angeles Food & Wine Festival in October 2011! The creators and producers of the premier epicurean lifestyle event on the West Coast proudly presented the next great culinary and live entertainment playground, where celebrity met celebrity chef. There were 58 Different events and 141 Chefs that participated! 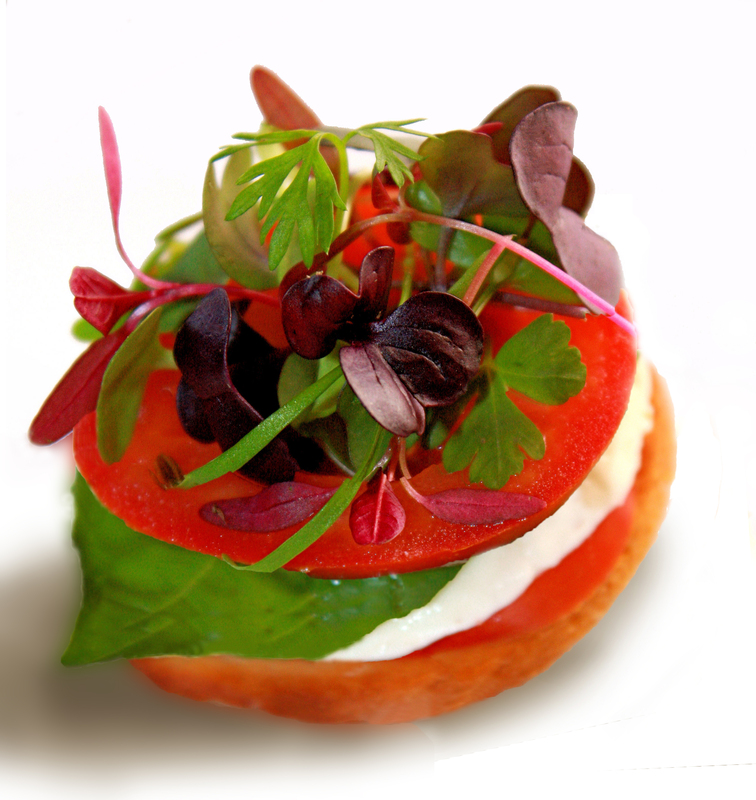 Some of the nation’s Top Chefs used our Microgreens & Edible Flowers on their dishes! Some of the Chefs included: Bradley Ogden, Daniel Boulud, Sam Choy, Roy Yamaguchi, Elizabeth Falkner, Johnny Iuzzini, Wolfgang Puck, Michael Mina, & Masaharu Morimoto. Chef Masaharu Morimoto—known to millions as the star of Iron Chefand Iron Chef America—has garnered critical and popular acclaim for his seamless integration of Western andJapanese ingredients. He has effectively created a signature cuisine that has gained worldwide appeal and positioned him as one of the foremost chefs today. Morimoto is executive chef at Morimoto Philadelphia,Morimoto New York, and Wasabi by Morimoto. In July 2010, chef Morimoto opened his first West Coast restaurant, Morimoto Napa, in downtown Napa’s new Riverfront development, followed by the fall 2010 debut of Morimoto Waikiki in Waikiki EDITION, the new luxury lifestyle hotel developed by Ian Schrager and Marriott. Sam Choy’s colorful personality and welcoming smile have drawn customers to his multiple restaurants over the last 30 years, but it is his award-winning cooking that keeps them coming back.For the last 16 years, Sam has appeared on his weekly cooking show, Sam Choy’s Kitchen, on the Hawaiian Island’s local NBC affiliate. He has authored 16 cookbooks, has a frozen food line with a major international distributor, has his personal recipe sauces and dressings available in national food store chains and has designed first and business class menus for American’s Airlines International Flights. Choy is a four-time nominee for the James Beard Best Pacific Regional chef award, winning in 2004. He is often credited as the “Godfather of Poke” and the Culinary Ambassador of the Big Island. Sam also enjoys catering for private events and donates his time to support multiple charities. With her spiky platinum hair and unstoppable creativity, Elizabeth Falkner has become one of the most recognizable faces of the Bay Area culinary world on Bravo, Food Network and beyond. She has been a frequent contestant, judge, and guest on Top Chef Masters, Top Chef, Iron Chef America, Sugar Rush, Tyler’s Ultimate with Tyler Florence, Rachael Ray’s $40 a Day, Martha Stewart Living, and more. Falkner is the owner and Chef of two Michelin recommended restaurants in San Francisco. Citizen Cake patisserie, restaurant and bar in Pacific Heights, along with the popular SOMA restaurant bar and lounge Orson. Once known as the go-to for all things pastry, Elizabeth’s expertise is now widely acknowledged to have bridged the gap between sweet and savory. Johnny Iuzzini, Executive Pastry Chef at award winning Restaurant Jean-Georges and café Nougatine in New York City, hails from the Catskills in upstate New York. A graduate of the Culinary Institute of America with twenty years of kitchen experience since the age of 15, he boasts a heavy list of experience at highly lauded dining locations such as The River Café in Brooklyn, NY, Daniel, Payard and Café Boulud in New York City. His enrichment continued during a journey around the world in 1998 as well as to study pastry at some of the finest patisseries in France including LaDuree under Pierre Herme. Chef Iuzzini was deemed “Outstanding Pastry Chef of the Year” by the James Beard Foundation in 2006, followed by accolades such as “10 Most Influential Pastry Chefs in America” by Forbes Magazine, “Best New Pastry Chef” by New York Magazine, and named one of the “Top Ten Pastry Chefs in America” two years in a row by Pastry Arts and Design Magazine. Iuzzini is the head judge of Bravo’s new culinary competition series “Top Chef Just Desserts” and the author of Dessert Fourplay: Sweet Quartets From A Four-Star Pastry Chef. Based on childhood memories of the feelings and flavors of Hawaii, Roy invented what he refers to as “Hawaiian Fusion® Cuisine” — a tempting combination of exotic flavors and spices mixed with the freshest of local ingredients, always with an emphasis on seafood. Thusly inspired, he graduated from the Culinary Institute of America in New York at the age of 19, where, after several years of intense training, he became a Master Chef. 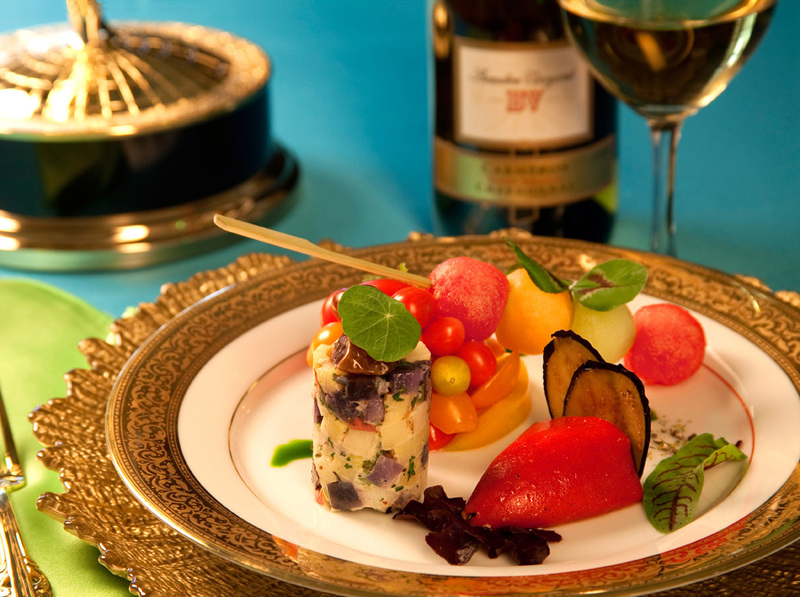 Yamaguchi is now regarded as a pioneer who mastered a distinctive style, which brought his cooking to the forefront of contemporary gastronomy. As testimony to his success, there are now 31 Roy’s, including 23 in the Continental U.S., 6 in Hawaii, 1 in Japan and 1 in Guam. Honored early in his career with the prestigious James Beard “Best Pacific Northwest Chef” Award, Yamaguchi has hosted six seasons of the PBS-TV show, Hawaii Cooks with Roy Yamaguchi seen on more than 300 stations in all 50 states, as well as in over 60 countries. Equally notable, he was a featured chef on the acclaimed TV Food Network program, My Country, My Kitchen which takes viewers back to his roots in Japan. Happy Halloween! Pumpkin Soup Recipe. 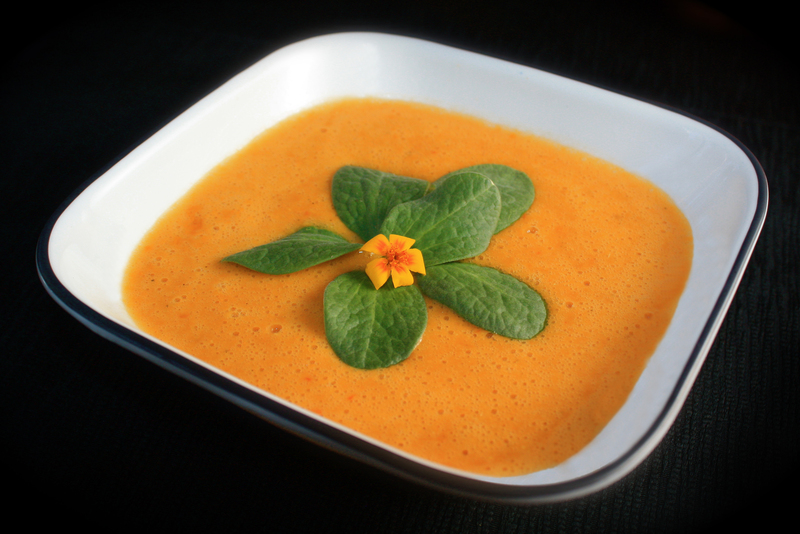 Pumpkin, Lemongrass & Corn Soup with Petite Pumpkin Greens! Cut off the top and bottom of the lemongrass stalk and remove outer layers. Then smash stalk with the side of a large heavy knife. Cook lemongrass, onion, and garlic with salt, in butter and olive oil in a medium pot over medium-low heat, until onion is softened, about 10 minutes. Add pumpkin, corn, tomatoes, with salt, pepper and simmer, covered, stirring occasionally. A few minutes later, add cream, parsley, chicken stalk, brown sugar, ginger, cinnamon and nutmeg. Simmer for another few minutes. Then puree the soup either in a blender or using a hand-held blender. Strain soup through a fine-mesh sieve into a large heatproof bowl. 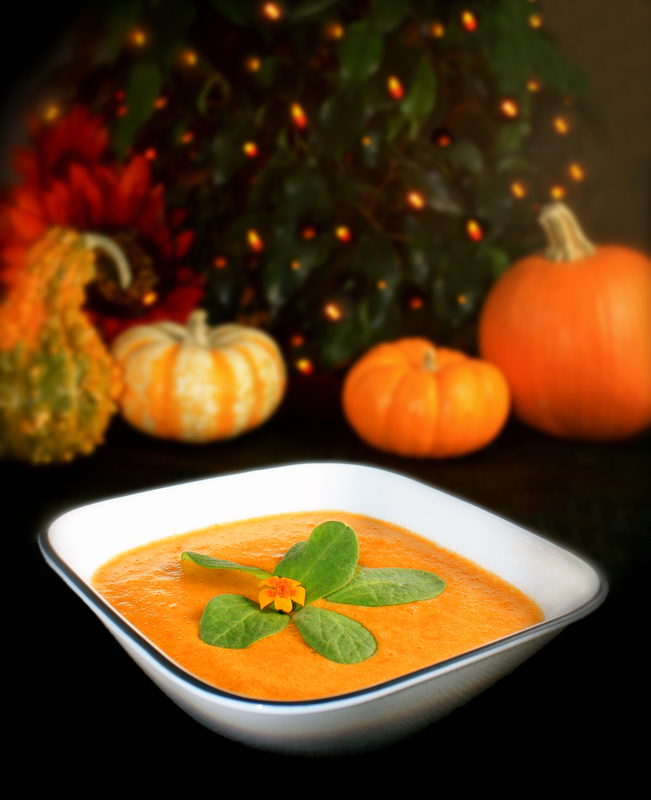 Garnish with Fresh Origins Petite Pumpkin Green and MicroFlower™ Micro Marigold™! Good source of vitamin A, vitamin C, potassium and iron. Get creative with the first ever Pumpkin seedling garnish! 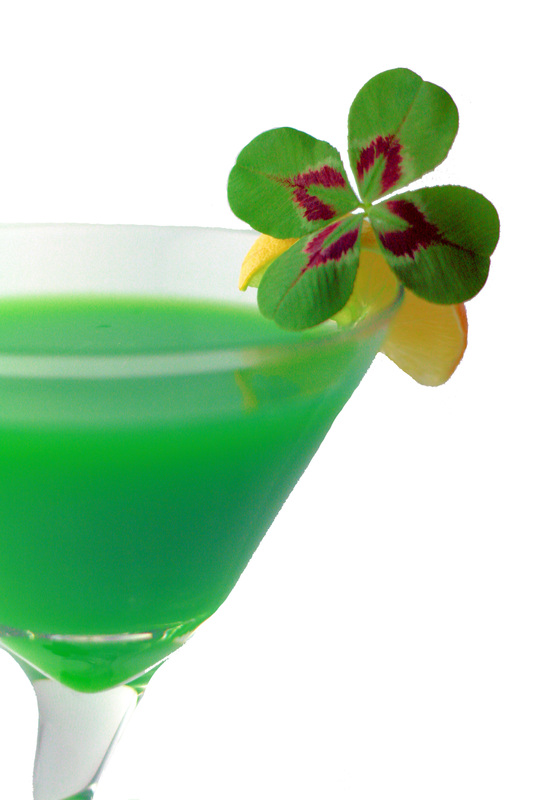 You don’t have to be Irish to get lucky with this fun cocktail! 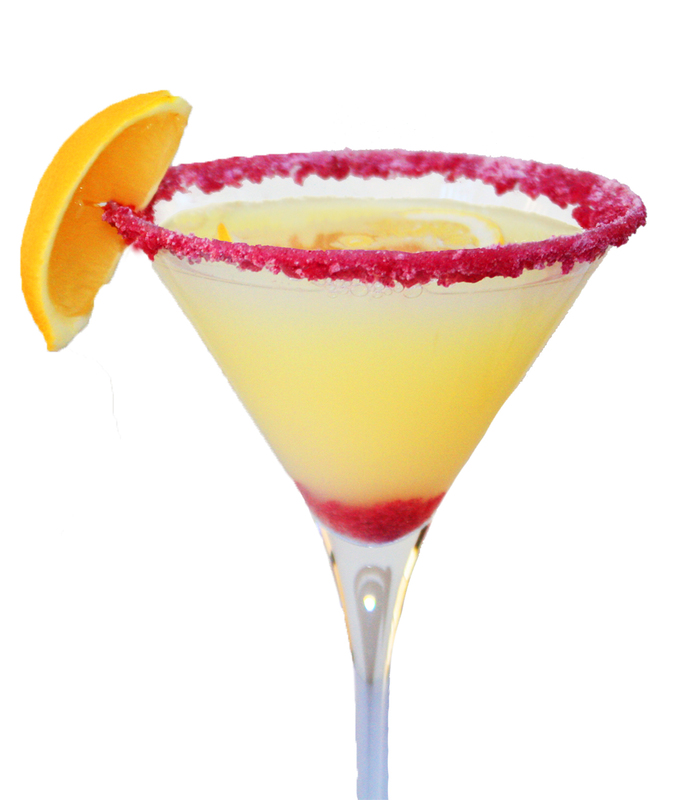 Add ingredients to a shaker with ice, shake vigorously, strain into martini glass. Garnish with Fresh Origins Lucky Shamrocks™. 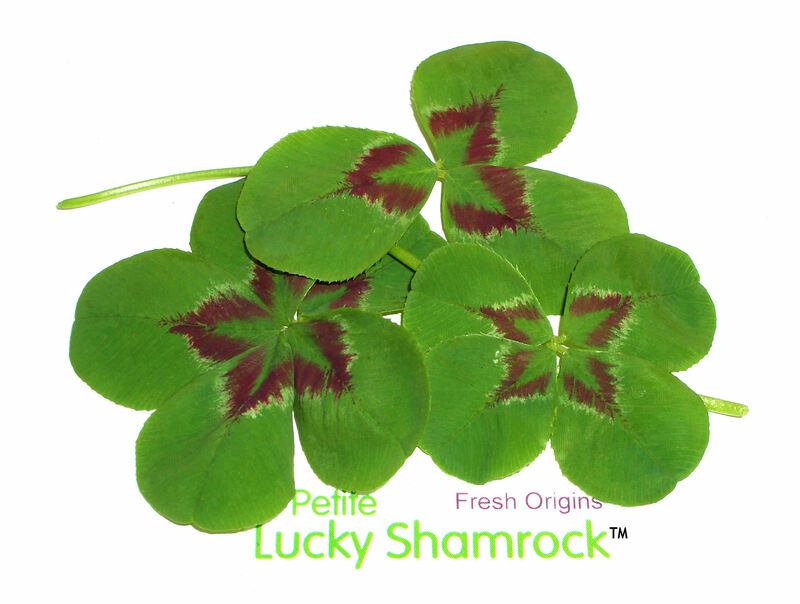 Perfect for St. Pattie’s Day; it’s time for Petite Lucky Shamrocks™ to dazzle March dishes! 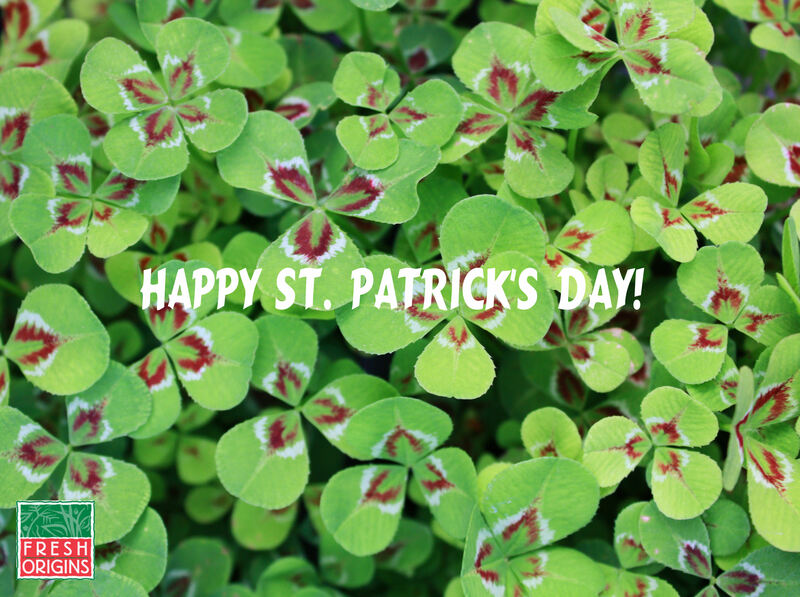 Extraordinary three, four, and five leafed clovers! These large green leaves have a striking burgundy and white central pattern, and measure about one to one and a half inches in diameter. Yummy clover taste. Ideal for cocktails and salads. Top meat and poultry entrées or use as a beautiful edible bed for seafood. Dress up cakes and upscale pastries or float on soups. Add a touch of luck to any plate! Emmy’s appetizer September 2009. Petite Lucky Shamrock™, Petite Hearts on Fire™, & Petite Nasturtium Leaf. Executive Chef Andres Banuelos of the fabulous Hawthorn’s Restaurant is especially partial to fresh locally grown produce. Appreciating the bounty of California’s rich agricultural community, Chef Andres marvels at the superior quality of locally grown PetiteGreen Season’s Mix™. 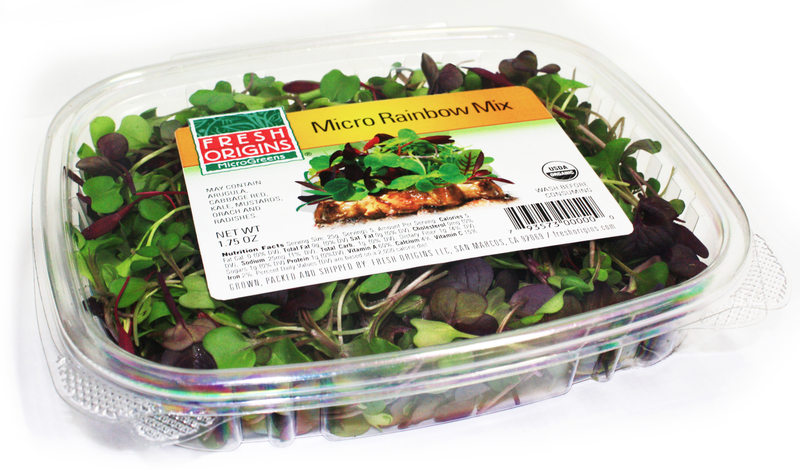 One of his favorite fresh greens, this premium Mix boasts brilliant colors, delectable textures and rich flavor. Chef Andres tells Specialty Produce that PetiteGreen Season’s Mix™ beautifully and deliciously enhances a variety of his outstanding specialties and offers limitless versatility. Truly a gorgeous signature item of Fresh Origins Farm, San Marcos, California, glorious PetiteGreen Season’s Mix™ is a very impressive colorful blend of most all of Fresh Origins’ locally grown PetiteGreens and fresh greens. Not only luscious eye candy, complementary flavors are combined that absolutely delight the palate. PetiteGreens are hardier, offer more flavor and are harvested much larger than MicroGreens. The next step beyond MicroGreens when it comes to color, texture and taste, nutritious PetiteGreens are cut when they are about three to five inches tall and about four to six weeks after planting. 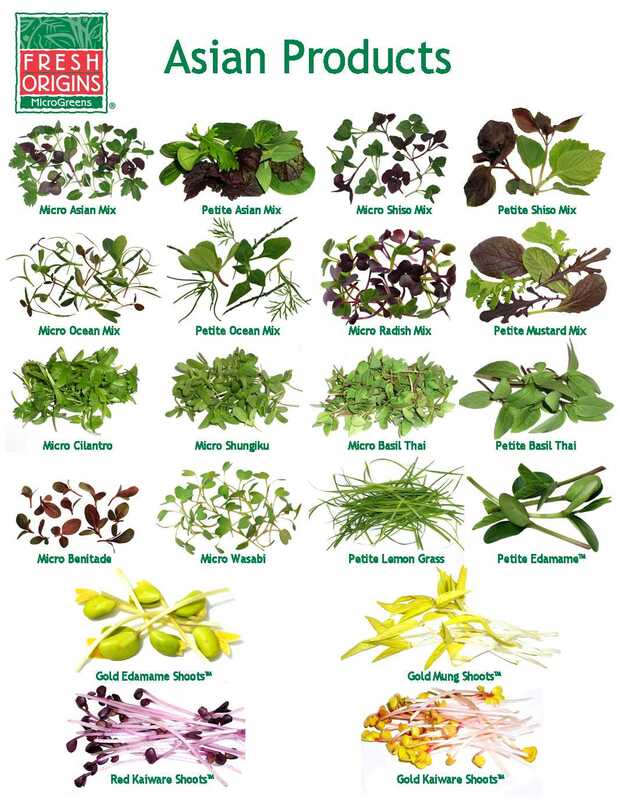 Larger than MicroGreens but smaller than baby greens, PetiteGreens are used mainly for fresh eating. As an edible garnish or added to fresh salads as a flavor accent, PetiteGreens are never tough or bitter, unlike mature cooking greens and herbs. 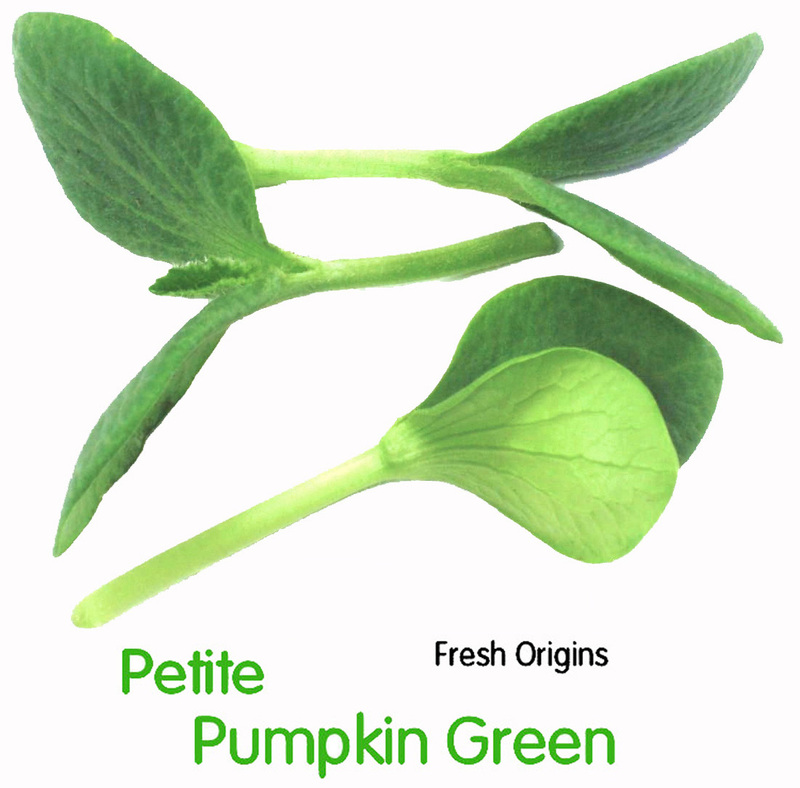 Offering exceptional color, texture and height, PetiteGreens contribute overall flavor and a very striking presentation. Favored by chefs for culinary versatility, PetiteGreens add a sophisticated touch to entrées, appetizers, crudités, hors d’oeuvres, hot or cold beverages, cocktails and desserts which definitely adds gourmet glamour to the fine dining experience. Specifically grown for fresh eating, striking PetiteGreen Season’s Mix™ adds a flavor combination that makes the taste buds stand up and take notice. Drizzled with light vinaigrette or balsamic vinegar dressing, this lovely mix turns into a taste sensation. As a substitute for the superb goodness of PetiteGreen Season’s Mix™, choose PetiteGreen Primavera Mix™ or PetiteGreen Asian Mix. 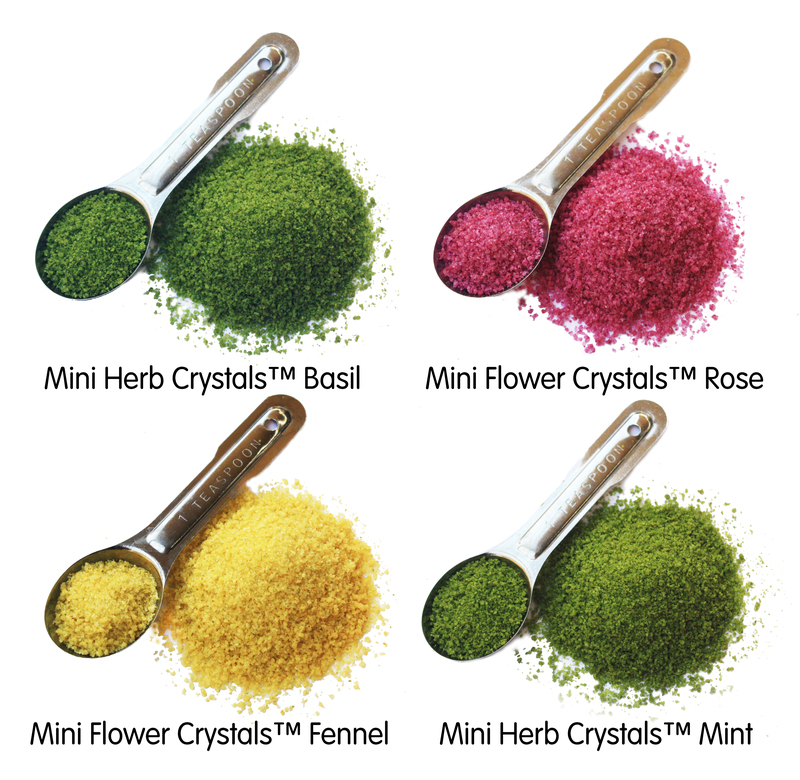 Create your very own flavorful blend by combining several varieties of premium PetiteGreens. The flavors of red amaranth, purple mustard and cinnamon basil are especially compatible. To store, refrigerate in a sealed container. Use promptly for optimum freshness. Start spreading the news as Fresh Origins Farm at San Marcos, California, owned and operated by David Sasuga, is reputed for an outstanding selection of locally grown edible PetiteGreens and MicroGreens. PetiteGreens are especially creating quite a buzz among chefs. Chefs praise the consistent quality and freshness of these truly remarkable versatile greens. Over grown microgreens are sometimes marketed by growers as Petites but Fresh Origins Farm’s PetiteGreens require an entirely different growing process than their MicroGreens. Fresh Origins Farm’s PetiteGreens are grown much differently than MicroGreens, resulting in superior form, color, flavor and uniform size. Overgrown MicroGreens may be less expensive but they tend to be stringy, too soft, have poor size uniformity, a reduced shelf life and lack flavor. Supplying area restaurants daily and year round with top quality PetiteGreens, Specialty Produce emphatically supports our local growers and farming industry. 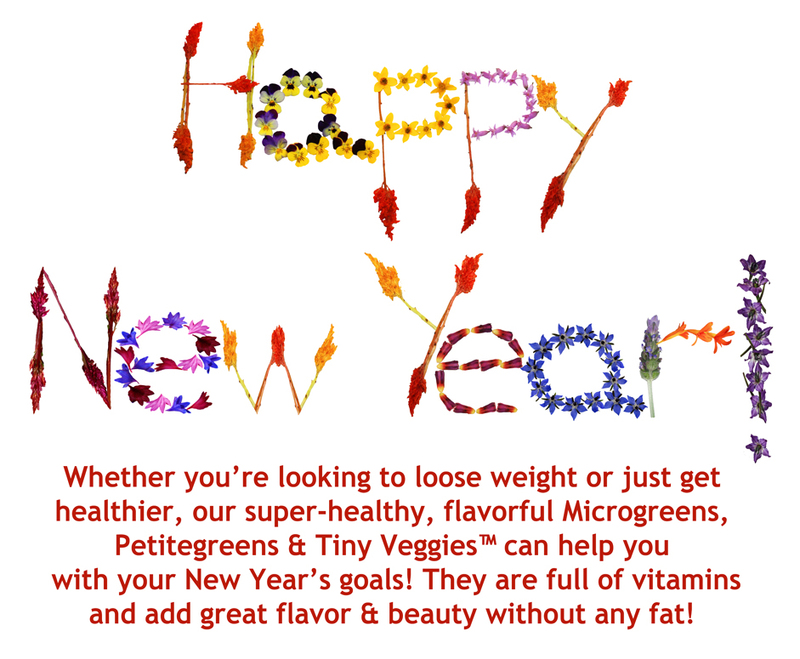 PetiteGreen Season’s Mix™ is available year round!